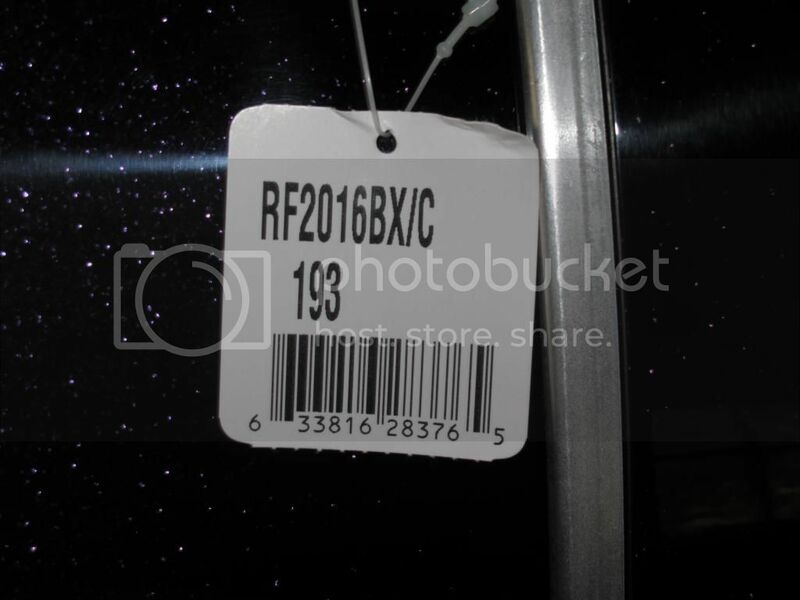 This past week, there was brand new #193 20x16 Reference BD for sale from Music-for-All. After I bought it, I called Matt (Music-for-All) to get the story behind it. Fortunately for Matt, he was on his honeymoon. Unfortunately for me, he was on his honeymoon. Before arriving yesterday, it shipped out of Nashville which makes me think it has been sitting in the warehouse for 2.5 years, but that has not been confirmed. I guess it really doesn't matter in the end, I am just glad to finish my set with a matching bass drum. Anyways, so you know it happened . . . Awesome score !!! ENJOY !!! Andy congrats on an awesome acquisition, especially in original #193! I presume it was in the dealers warehouse, not Pearl's. 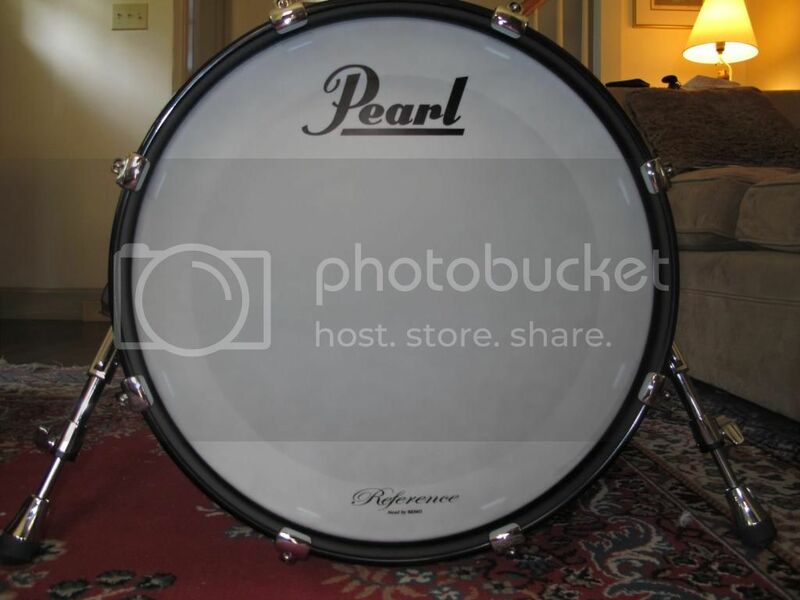 I asked Al ages ago what was left at Pearl and he said a few rack toms. Purple Craze is one finish i don't think i'll ever get tired of seeing. So beautiful and finely done. Reminds me of pictures i've seen of a clear night sky in the country, where all the stars are clearly visible. The journey led it to Pearl's FB page. Ha cheers, I found and commented! Thanks! Surprisingly, my wife gave the "thumbs up" to the purchase without the "I thought you said that you are finished building your kit" comment - I know some of you have been there! Thanks for your insights Mike. And I believe you, I know how you feel about two bass drums . . . maybe. I really think I am finished. Especially since it matches the rest of the kit. Agreed - I have loved it since it first debuted! That is pretty cool! Thanks Pearl! Thanks for the support Mike! I actually read your first post again and realized you said it was in Nashville all that time, not at the dealers. 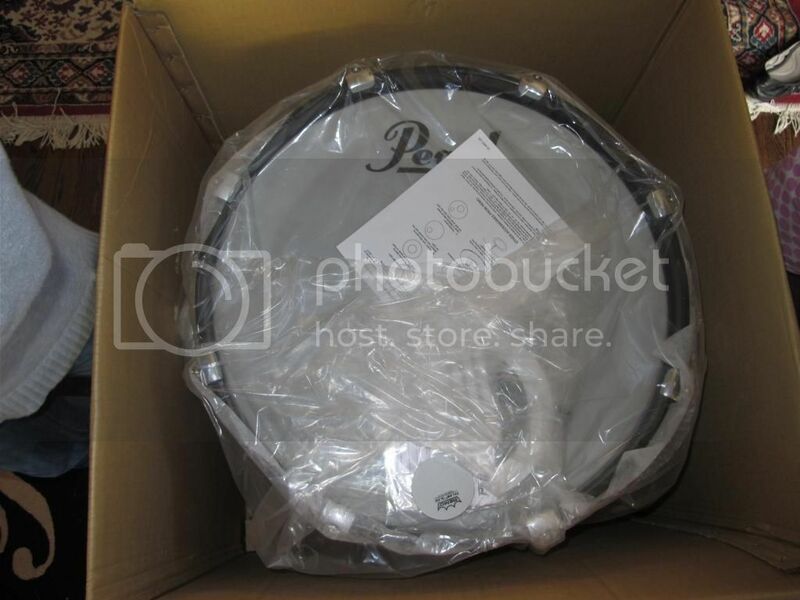 When I bought my kit new in a fusion kit sell-out in 2010 it had been in the warehouse at least 4 years already. 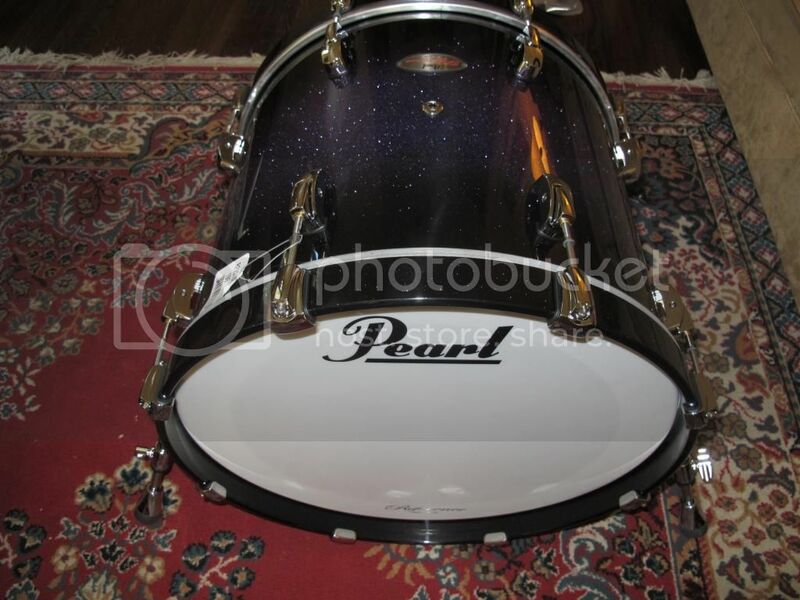 And yes you know I'm not looking for a DB set up, however if a 20x16 was local I would snap it myself! Would be great for a variable config. I knew it would only be a matter of time until someone figured it out! I am glad I could give you some REP! 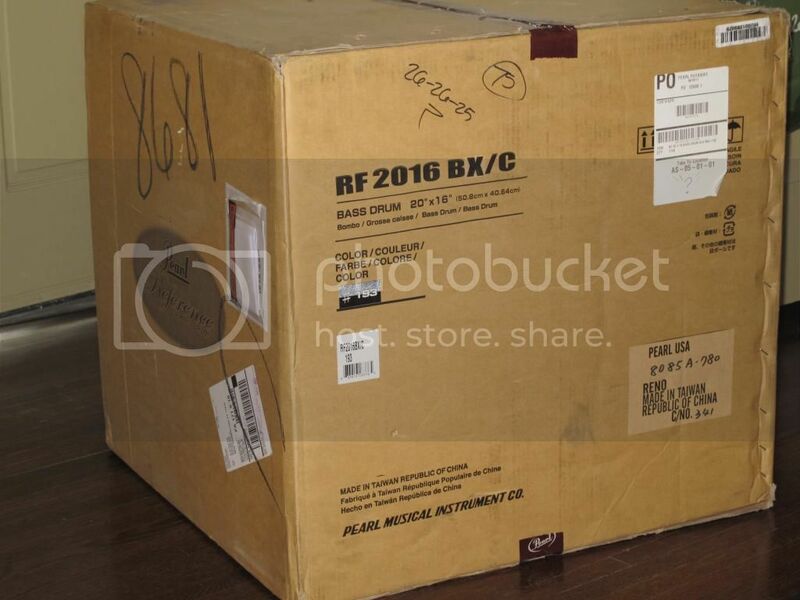 So do you think it might have been sitting in Pearl's Nashville Warehouse all this time? That is unexpected also! So should I and the PDF community be keeping an eye out for you if one comes up that is not "local"?